Backed by our affluent industry acquaintance, we present a comprehensive series of Rohu Fish. Packaging Type: 5 ??? 10 - 20 Kgs packing with white Corrugated Box or as per buyer's requirement. We are an exporter of Fresh Water Fishes. We are based in Porbandar(India) and we have carved a niche for ourselves in the market by offering quality products. The team of quality auditors, that we have, strictly checks the entire production process for ensuring zero defects at buyer's end. Pabda is one of the tasty fish. 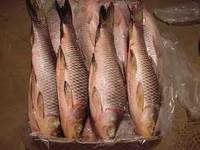 It is a famous fish of BangladeshDue to the same this fishes are largely demanded by hotels and food industries owing to delectable flavor. We also offer this fishes in bulk quantity with international packaging maintaining its own nutrients value. Our company is reckoned amongst one of the most reliable and renowned names immersed in the business of offering a comprehensive range of Rohu Fish. Widely used in homes, hotels and restaurants for the preparation of multiple dishes, these offered fishes are highly demanded and accredited for their delicious and yummy taste. Andhra rohu available from 500gms to 2kg size. Digha Seafood Exports Pvt. Ltd.
We are exporters of Freshwater Fishes. Our professionals clean these fishes before packaging to make sure their rich taste, quality and nutritional content. 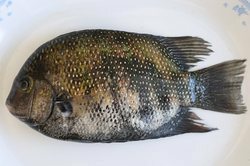 These fishes are highly in demand because of their extensive use as they have a great taste.